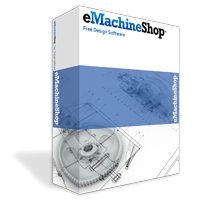 The free eMachineShop CAD software includes a front panel wizard. Just Download, fill in the dimensions and select a material. A front panel is a flat rectangular device acting as a starting point for electronic devices that use switches, knobs and other interactive components. Examples of usage include electronic and instrument panels. Custom front panels can be made in almost any material and finished using brushing, polishing, anodizing, powder coating and many other finishes. Select the Front Panel wizard. Add holes for mounting components.